Welcome to the pages of CFZ Australia! This is a shortish primer to help first-time blog visitors understand some of the words, place names and abbreviations used in these pages. This page will be frequently updated and expanded. Animals and Men - The in-house quarterly journal of the CFZ, received by members internationally four times a year. To subscribe you must join the CFZ here. Australasia - A term used to describe the geographic area that includes Australia, New Zealand, Papua New Guinea, and Melanesia. Australian Big Cat - A term we use to describe the indigenous 'Alien Big Cat' (aka ABCs) phenomena - OOPA big cats described as being similar to melanistic leopards or pumas. Asia Pacific - A term used to describe the geographic area that includes Asia, South East Asia and Oceania. Bunyip - (Also known to indigenous people as the Kianpraty) is a large mythical animal from Aboriginal mythology said to dwell in swamps, billabongs (waterholes), creeks, and riverbeds. Non Aboriginal Australians have made various attempts to understand and explain the origins of the bunyip as a physical entity over the past 150 years. Writing in 1933, Charles Fenner suggested it was likely the "actual origin of the bunyip myth lies in the fact that from time to time seals have made their way up the …Murray and Darling (Rivers)." He provided examples of seals found as far inland as Overland Corner, Loxton and Conargo. Another suggestion is that the bunyip may be a cultural memory of extinct Australian marsupials such as the Diprotodon or Palorchestes. 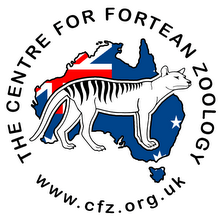 CFZ - Centre for Fortean Zoology (CFZ) founded by Jonathan Downes in the United Kingdom in 1992. The CFZ is an organisation dedicated to the study of cryptozoology and allied disciplines. It is a non-profit organisation registered with the British Government, and its Hon. Life President is the British explorer John Blashford Snell. Cryptozoology - The field of 'hidden zoology', concentrating on the research of animals considered to be legendary or otherwise nonexistent by mainstream biology. This includes looking for living examples of animals that are considered extinct, such as dinosaurs and more recently extinct creatures such as the Tasmanian Tiger; animals whose existence lacks physical support but which appear in myths, legends, or are reported, such as Bigfoot and the Chupacabra; and wild animals dramatically outside of their normal geographic ranges, such as Alien Big Cats (ABCs). Cryptozoologists - Those engaged in cryptozoological study are known as cryptozoologists, despite many lacking formal zoological qualifications. Many are dedicated naturalists with an interest in this fringe zoological area. Fortean - A term coined from the surname of the late journalist Charles Hoy Fort to describe the ideas and philosophy of the man, and the people and things inspired by it. Fort was an American writer and researcher interested in chronicling anomalous phenomena. His books are still popular today and his life's work inspired the creation of the Fortean Times and countless books on the strange and weird. Fortean Times - Premier journal of mysteries and strange phenomena, circulates globally and the magazine holds an annual gathering called the Unconvention each year, which attracts speakers from all over the world. Marsupial - An infraclass of mammals characterised by a distinctive pouch (called the marsupium), in which females carry their young through early infancy. Nowadays, most species occur in Australia, New Guinea and nearby islands, but there are also many species in the Americas. Some well-known marsupials include kangaroos, koalas, echidnas, wombats, possums, bandicoots and bettongs. 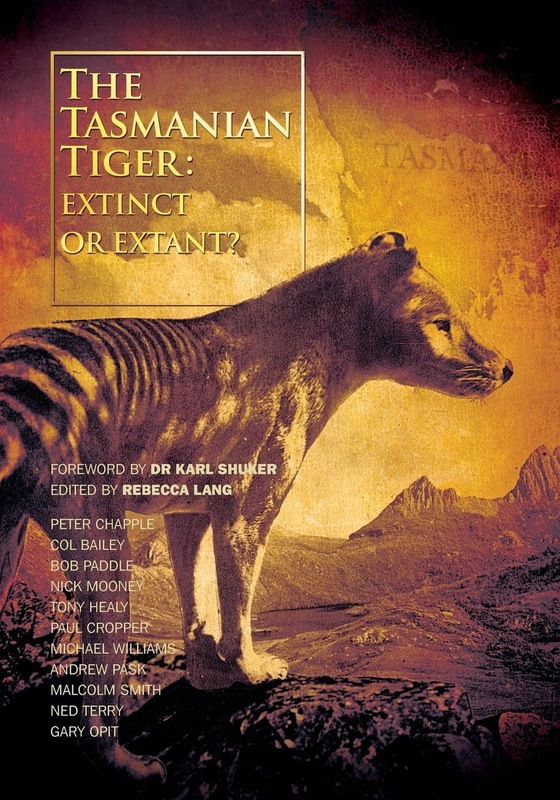 The extinct Tasmanian Tiger and Thylacoleo carnifex were also marsupials. Mystery Animal - An unidentified animal. Moa - The Moa were 11 species of flightless birds endemic to New Zealand. The two largest species, Dinornis robustus and Dinornis novaezelandiae, reached about 3.7 m (12 ft) in height with neck outstretched, and weighed about 230 kg. They were the dominant herbivores in New Zealand forest, shrubland and subalpine ecosystems for thousands of years, and until the arrival of the Maori were hunted only by the Haast's Eagle. It is generally considered that most, if not all, species of Moa died out by Maori hunting and habitat decline before European discovery/settlement. Monster [insert species] - Known animals of unusual size. New Zealand - (known by indigenous Maoris as Aotearoa - Land of the Long White Cloud) An island nation comprised of two large islands situated in the Pacific Ocean surrounded by several smaller islands. It sits 2000 south-east of Australia. The country is known for its distinctive fauna - primarily birds, many of the more unusual of which are now extinct. Oceania - A geographic area containing the islands of the Pacific Ocean (Melanesia, Micronesia and Polynesia), Australasia and the Malay archipelago. OOPA - Acronym we use for describing Out Of Place Animals - animals found outside of their natural setting i.e. Kangaroos in Germany, Monkeys in Australia. Queensland Tiger - (also known by the indigenous name Yarri) A cryptid reported to live in Queensland, Australia, and described as being a medium dog-sized feline with stripes and a long tail, prominent front teeth and a savage temperament. The Queensland Tiger could possibly be a survivor or descendant of the large predatory 'marsupial lion' Thylacoleo carnifex, or an altogether as-yet unrecognised species. In 1926, the naturalist AS Le Souef described The Queensland Tiger as being a ‘Striped marsupial cat’ in his book The Wild Animals of Australasia. Thylacoleo carnifex - Thylacoleo ('Pouch Lion') is an extinct genus of carnivorous marsupials that lived in Australia from the late Pliocene to the late Pleistocene (2 million to 46 thousand years ago). Some of these 'marsupial lions' were the largest mammalian predators in Australia of that time, with Thylacoleo carnifex approaching the weight of a small lion. There is some speculation Thylacoleo could still be alive, and be the true source of the many 'big cat' sightings recorded in Australia every year - despite being extinct for more than 40,000 years. Waitoreke - An otter/beaver-like cryptid said to live on the South Island of New Zealand. Apart from the fabled waitoreke, New Zealand has no other indigenous mammals aside from two species of bat. Yowie (also referred to as a 'Yahoo') - Australia's own hairy hominid, similar to Nepal's Yeti, America's Bigfoot or Canada's Sasquatch. Language/spelling, units of measurements and other terms of reference are unapologetically those used in Australia - we reference our currency in dollars and cents, use kilometres when talking about distances, centimetres/metres when referring to height/width, and throw in the odd unintelligible colloquial term when we get really excited. Enjoy your visit to our fair isle!